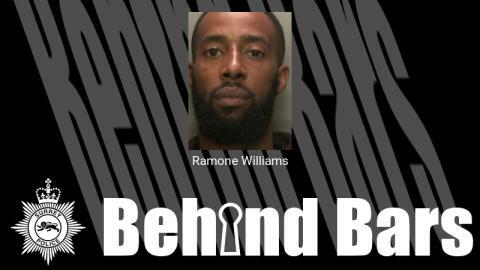 Ramone Williams, 31 of Friern Barnet Road, Barnet, was pulled over by a proactive drugs team officers and firearms officers on the Ewell Bypass. Williams was arrested after officers suspected he might have concealed drugs internally and he was taken to hospital for his welfare. The driver, a female in her late thirties, was also arrested and taken to hospital, but has since been released with no further action. When Williams was strip searched, officers became aware of further evidence that he was concealing drugs internally. He was further detained and ended up spending eight days in custody, under 24 hour supervision, with a drugs toilet deployed. He was charged with being concerned in the supply of class A drugs. Williams was sentenced to three years and four months in prison and also received 12 weeks for breaching a suspended sentence. Detective Inspector Paul Gordon said: “The sentence handed out follows a lengthy investigation into Williams’ actions. “His refusal to use the facilities led to a significant impact upon resources as officers were needed to constantly monitor him. However, the result at court showed that it was worthwhile. Surrey Police have a specialist team set up to tackle county drugs lines which tackle drug dealers just like Williams.